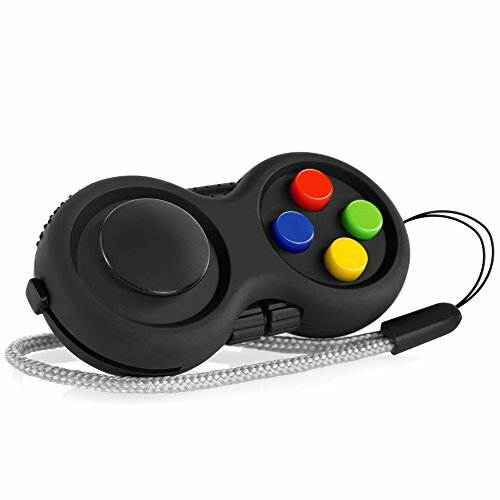 Game Controller Fidget Toy - Moar Stuff - You don't need it but you know you want it. 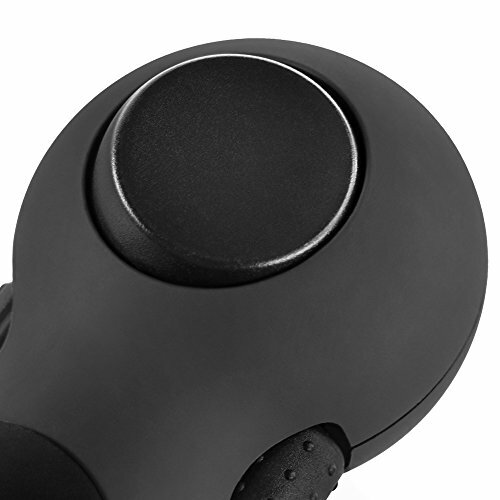 Made from Premium Materials - The Sturdy Ergonomic Body Is Created Using Rubberized Plastic Specifically Designed for Maximum Comfort while Fidgeting. The Included Lanyard was Made to Enhance the Fidgeting Experience, Allowing the User to Easily Keep Track of their Fidget Retro! 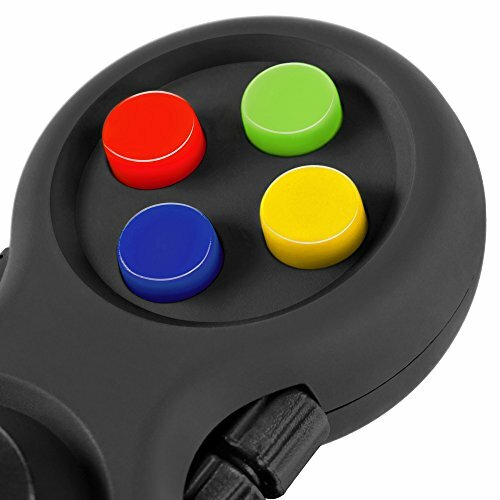 Inspired By Classic Retro Video Game Controllers - Designed with Colorful Retro Buttons and a Simple Ergonomic Design Reminiscent of the Days of Classic Gaming. 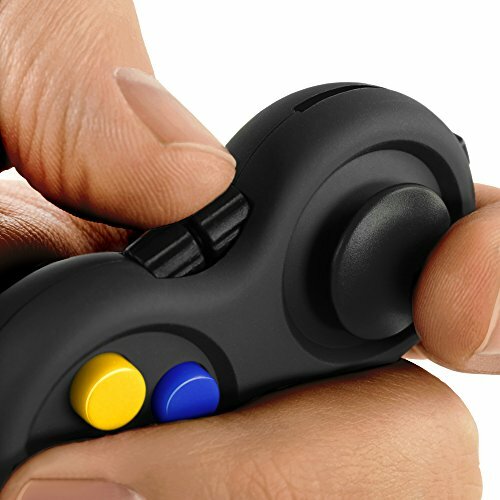 Relive the Era of 8-Bit Video Games All While Comfortably Fidgeting with the Fidget Retro! 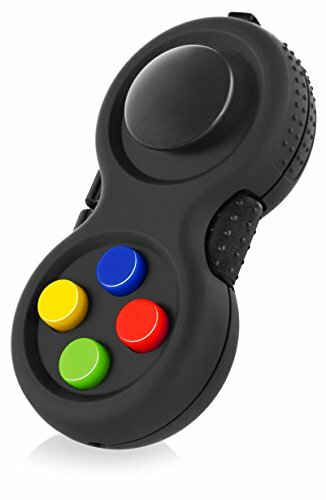 Instead of just spinning, now you can press B to fidget with this Game Controller Fidget Toy. 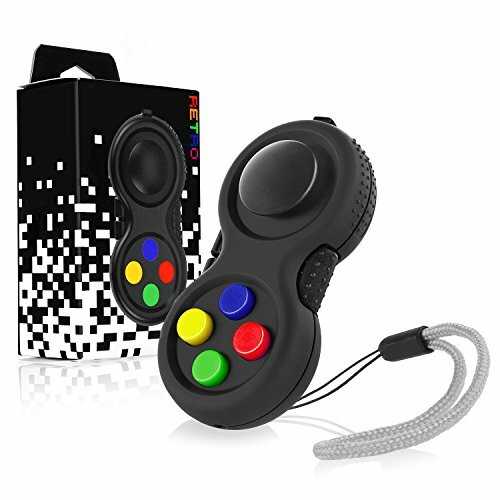 Designed to mimic classic video game controllers, this fidget toy will have its users reminiscing the old days of retro 8-bit gaming. It features 8 different fidget functions in an ergonomic design that lets you keep your fingers busy more discretely than a spinner. 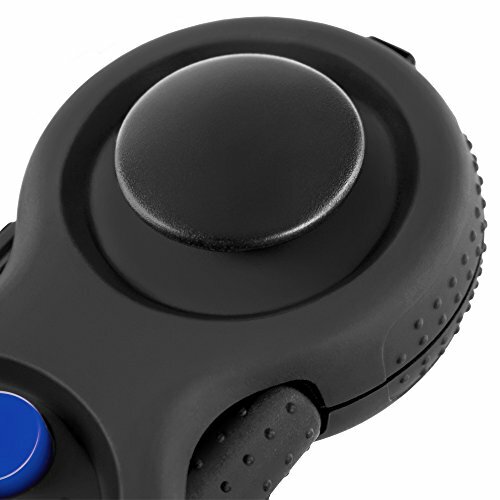 The 8 Fidget functions include, a clickable omnidirectional joystick. Dual clickable buttons that make a clicking sound when pressed. Two silent buttons for discreet fidgeting. A gear roller. A grip textured massage roller. One clickable switch. An addicting spinnable dial. A spring loaded slider. And finally, a grip textured “Zen” section. Created to ease stress and increase concentration by providing an outlet for nervous energy, it’s perfect for almost anyone – students, office workers, time-killers, lovers of classic games, and everyday fidgeters. Oh, and you get this all for a price $5.00 cheaper than you would get at Thinkgeek. Dimensions: 2.9 x 1 x 1.4 inches. Choose between colored buttons and black buttons. All sorts of fidgety gadgets on a gaming “controller”. Eight fidget functions to keep your nervous energy in check. Some make sound, some don’t. Includes a lanyard to keep you from dropping it.